Flight demonstrations are usually made on Friday. Showing a flight video during the oral presentation would be acceptable, too. Current Motor List—The CAR/NAR/Tripoli certified motor list can be found here. 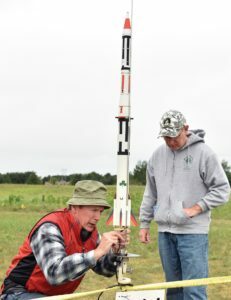 Rules—NARAM-60 is being flown under US Model Rocket Sport Code rules. the USMRSC can be found here. Mission Points—For those events that use Mission Points in their scoring. Click here for the Mission Points Worksheet. Name Badges—All fliers must wear their name badges indication registration status and High Power certification level at all Rocketry Festival Events. 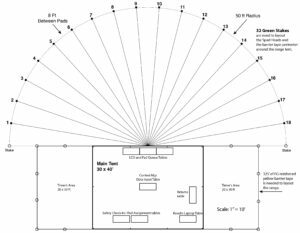 Pad Assignments—Pad assignments will be issued based on the order in which fliers clear safety check in with ready to fly models, and the order of availability of pads of the appropriate type. Assignments will be made only to unoccupied pads. Fliers with personal launching equipment at a busy pad have the option of moving their equipment to an unoccupied pad, or waiting until the pad with their equipment is dree. No stacking or pre-allocated flight cards for a particular pad will be allowed. Misfires—Misfires that can be corrected with a spare igniter at the pad will be permitted to recycle without returning to Pad Assignment. The flight card will be removed from the ready to fly queue and re-entered when the flier signals readiness. If the flier must leave the flight area to correct a misfire, the flight card will be returned to Pad Assignment. Range Duty—All flyers are subject to being required to perform some form of Range Operations Duty on a “Fair Share” basis, based on any preference they indicate at registration and on the needs of the event. The Event Director may suspend flying privileges for participants that refuse, are late or do not show up for their assigned duties. Contest Judges and NAR members directly involved with the Operation of the Festival Week on a continuous basis are not involved in Range Duty. Range Duty consists of a two hour shift each day on the field to cover the operation of the Festival or NARAM 59 events. Range Duty shifts rotate their schedule through out the Festival Week. Your Range Duty will be clearly assigned with a schedule in your Contest Packet. Blast Deflectors—All flyer provided launch devices must include an adequate blast deflector that prevents motor exhaust from directly impacting the ground. 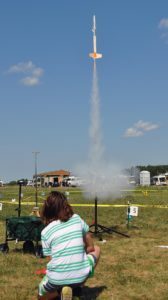 Flying Rockets—There will be two ranges set up for rocket activity: The Contest Range and the Sport Flying Range. These will be the only areas from which rockets may be launched. Competition flights will be flown only from the competition range. Practice flights for competition models may be made from the Sport Range. Range Closing—Check-In for each event will close 10 minutes prior to the end time for that event. The Pad assignment queue will close 5 minutes prior to the end time for that event. After the close of an event, all flights will be processed out of the assignment queue through a single launch attempt. Misfires on the pad after event close will not be granted additional launch attempts. Returns—For events requiring a returned model, that return must be made within 120 minutes from the end (close) of that event. Late returns may be made at the field or at the Hotel. Late returns may also be called into the CD. 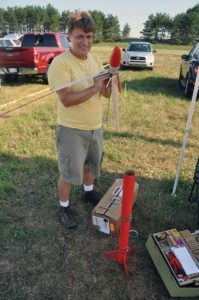 Use of Radio Control: Due to site owner insurance being through the NAR only, the use of radio control (R/C) at NARAM-60 is strictly limited to rocket-boosted R/C aircraft. The flying of any other form of R/C aircraft is prohibited. Being a current member of the AMA (which provides members with its own insurance protection) does not exempt you from this site owner R/C restriction. 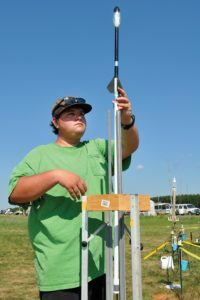 There will be two ranges set up for rocket activity: The Contest Range and the Sport/High Power Range. These will be the only areas from which rockets may be launched. Competition flights will be flown only from the competition range. Practice flights for competition models may be made from the Sport/High Power Range. There is no FAI Contest Range this year. 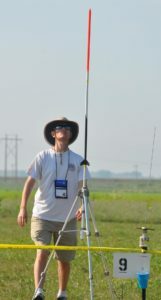 FAI team members are currently competing at the FAI World Cup, which is being flown in Wyoclawek, Poland.